Krka National Park is a notable hallmark of Croatia’s blossoming tourism industry and it is characterized by an enthralling landscape, heavenly waters, lovely vegetation and beautiful azure waters; everything about the park is simply divine which is why many make the trip to witness this out-of-this-world scenery for themselves. If you’d also like to journey to one of Europe’s most famous attractions, the following guide will avail the different travel options available from Zagreb, Dubrovnik and Split. You can travel the 300-kilometer distance between the two locations by car via the E71 main highway which will take you about 3 or so hours to complete. The D1 route is also a good alternative to the first, albeit almost an hour longer, and this road will get you to the E17 motorway which basically passes across the periphery of Plitvice Lakes. You could also let someone else take the wheel by opting to take a bus at Zagreb’s main terminal. The schedule features daily trips back and forth but in winter the frequency drops to once a week. A one-way ticket is priced at 12 euros while a return option costs 7 euros more. The distance is significantly shorter from Split with the entire stretch just summing up to a little over 90 kilometers which means you’ll get to your destination in about an hour or thereabouts. The road network is quite expansive and consequently avails numerous route alternatives with one popular path passing through the D8 motorway. You could also take the D56 highway or the E56/E71 option that crosses right next to Dugopolje. You can get a bus from the town’s main terminus for just 10 euros for a 1.5-hour travel. The trips occur every day but during winter, the buses make no more than three trips a week. If you aim to travel like a king without having to worry about which route you’ll take or where you’ll lay your head among other nitty-gritty, then a private transfer is your best bet of getting just that and much, much more. About 280 km of road separate Krka and Dubrovnik and you could cover that distance by leasing a car and driving yourself. The journey will take a little over 3 hours and you’ll also need to keep in mind that you’ll have to pay toll fees of about 80 kunas along the way. A one-way ticket will set you back about 20 euros and you’ll have to dig 10 euros deeper into your pocket for a ticket covering the to-and-from trips in their entirety. The bus ride takes significantly longer than the preceding option, 3 more hours to be exact, with there being the common tale of reduced winter trips and daily travels during other times of the year. 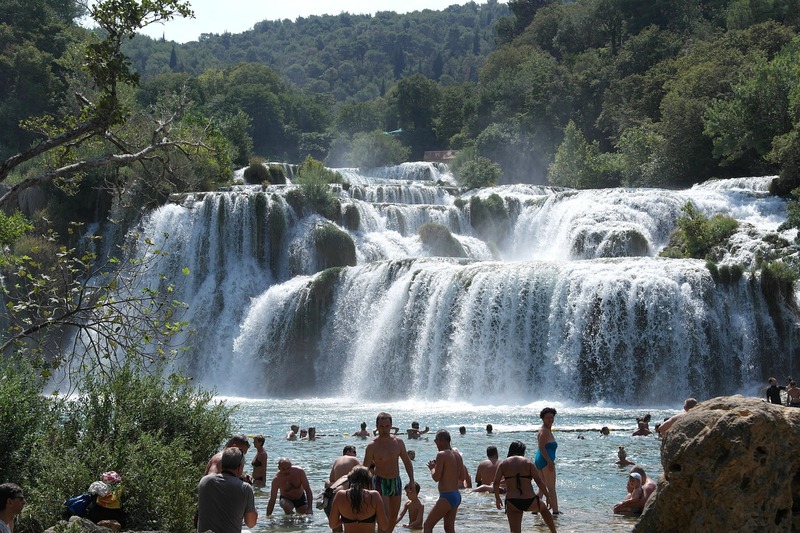 In 2016 alone, Krka National Park achieved upwards of 1 million visits and you too can see what fuss is all about now that you know just how to get there.